The University District Vision encourages University and City employees to live in the City they work, thereby reducing commutes, strengthening neighborhoods, and supporting our local economy. Learn about the people who have successfully used this program to purchase homes in College Park. Read about first home buyer’s profile here, our second profile here, our third profile here, fourth, fifth, sixth, seventh, eighth, ninth, tenth, eleventh, twelfth, thirteenth, fourteenth, fifteenth, sixteenth, seventeenth, eighteenth, nineteenth, twentieth , twenty-first, twenty-second, twenty-third, twenty-fourth, twenty-fifth, twenty-sixth, twenty-seventh, twenty-eighth, twenty-ninth, thirtieth, thirty-first, thirty-second, thirty-third, thirty-fourth, thirty-fifth, thirty-sixth, thirty-seventh, thirty-eighth, thirty-ninth, fortieth, forty-first, forty-second, forty-third, forty-fourth and forty-fifth. Thomas McMullen works as the executive assistant to the Provost in the University’s Office of the Senior Vice President and the Provost – and has been working there for 20 years. His son, Robert McMullen, attended the University of Maryland and received both undergraduate and graduate degrees. He’s been working in the A. James Clark School of Engineering’s Institute of Systems Research as facilities coordinator since 2015 while he achieves his master’s degree. Thomas had heard about the program because “everyone talks about it” – but he wasn’t sure where to find information about the program, so he walked down to the College Park City Hall. There he received information about the Partnership’s Homeownership Program and also learned about the City’s New Neighbor Grant program which provides $5,000 for folks purchasing former rental properties, foreclosures, or are EMTs, police officers or teachers — which can be coupled with the Partnership’s $15,000 program. As this house was a former rental, he was able to combine the programs. Kristen started at the University of Maryland’s Clarice Smith Performing Arts Center as a Guest Experience Coordinator four years ago. 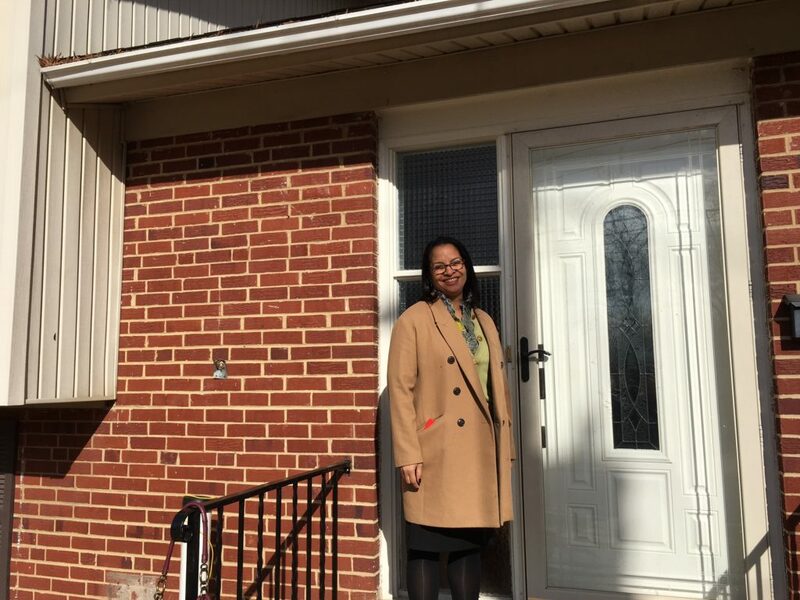 Roughly a year into her employment, the Partnership’s Executive Director was invited to brief Clarice staff on all the developments happening in College Park and the Partnership’s newly launched Homeownership Program. Kristen remembered hearing about the program, but as she wasn’t interested in buying at the time, set it aside. 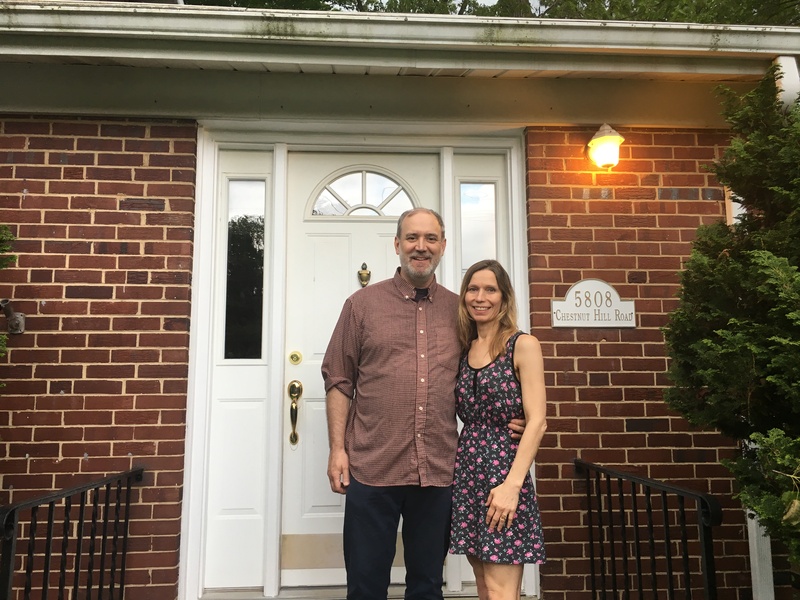 Sara and Nick are both graduates of the University of Maryland and have been in the College Park area for over 20 years, recently renting in Berwyn Heights. “We love living close to work!” Sara has worked for two years as a visiting senior faculty specialist in the College of Computer, Mathematical & Natural Sciences Department of Astronomy. And Nick also works locally on contract at NASA Goddard Space Flight Center in Greenbelt. So, during their search, they looked in a variety of neighborhoods and eventually found their perfect home in College Park Estates, which Sara and Nick described as a “nice, quiet neighborhood, with lots of access” to places they enjoy – like Lake Artemesia, local bike trails, and restaurants like the Board and Brew and downtown College Park’s Marathon Deli, Kung Fu Tea and NW Chinese. “College Park has really grown its foodie scene, and that’s exciting for us,” explained Sara. Gene Ferrick and Joann Prosser are both long-time University employees. Joann has worked in Resident Life since 2002 and has a PhD in Counseling Psychology from the University. Gene has two Bachelors degrees from the University and a Masters degree from UMUC. He has worked for the College of Computer, Mathematical, and Natural Sciences since 1997, although he’s been on campus since entering as a Freshman in 1979. They lived in Bowie for the past 20 years, but, as Joann says, “we loved our community, but we didn’t love the commute.” They knew College Park well, by working on campus for many years, but also because Joann’s sister’s family and her mom live in the community. Her mother – and other friends – had been encouraging Gene and Joann to make the move to College Park for several years. At first, because they loved their Bowie neighborhood, they didn’t want to move, but the idea grew on them. Joann’s mother asked all her College Park neighbors if they would be selling their homes any time soon and served as match-maker when she learned that a neighbor would be moving. Gene and Joann have been warmly welcomed by everyone on their block – residents of the street have regular potluck dinners and are a tight knit group. Joann points to how much has changed around the University. She says, “College Park has experienced so much revitalization in the last decade and is a fun place to live.” Gene remarks how he goes to MilkBoy ArtHouse at least once a month and attends “Science on Tap” lectures there featuring University scientists talking about their research over good food and beer. He notes how Milkboy Arthouse “is a fun place for Happy Hour.” Joann remarks that “the ability to be a life-long learner is extraordinary” living in College Park and working at the University. 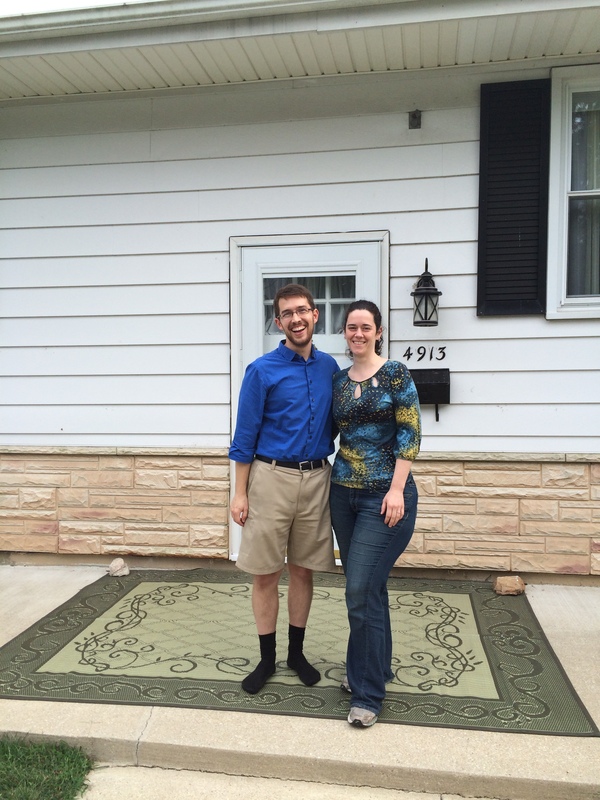 Both Joann and Gene are looking forward to much more by living in College Park. They love attending events at the Clarice Smith Performing Arts Center on campus, and Gene wants to attend more football games. He also says he’s “excited about Riverdale Park’s Town Center Market, where he looks forward to joining his brother-in-law and others who gather on Thursday nights.” Gene notes Town Center Market is conveniently “just down the bike path.” They also plan to join the Adelphi Pool, where many neighbors spend their summers. They found the Homeownership Program easy to use and their only regret is they wished they had moved to College Park sooner. “Make the leap,” Joann recommends to those considering moving to College Park. Jessica and Alison were living in Austin, Texas where Jessica had been employed with the University of Texas, doing post-doctoral research, and Alison was at a government environmental post. As Jessica was completing that research, she learned of a position at the University of Maryland in the School of Public Health’s Family Science division. When Jessica knew she would be hired as an assistant professor, they started thinking about the move to the area. John Hampton has been a University of Maryland Police Department officer for the last 11 years. 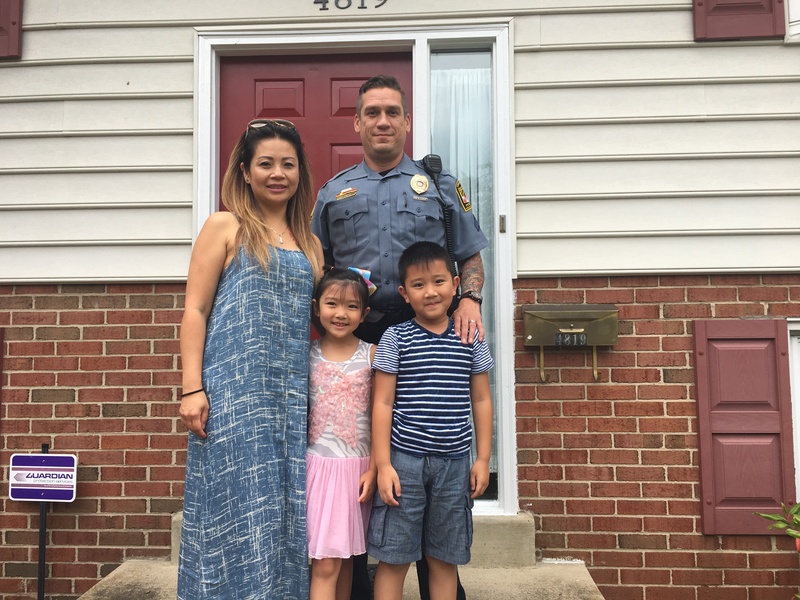 Because of this, as a law enforcement officer, he was able to couple the Homeownership Program Loan with the City’s $5,000 New Neighbor grant. 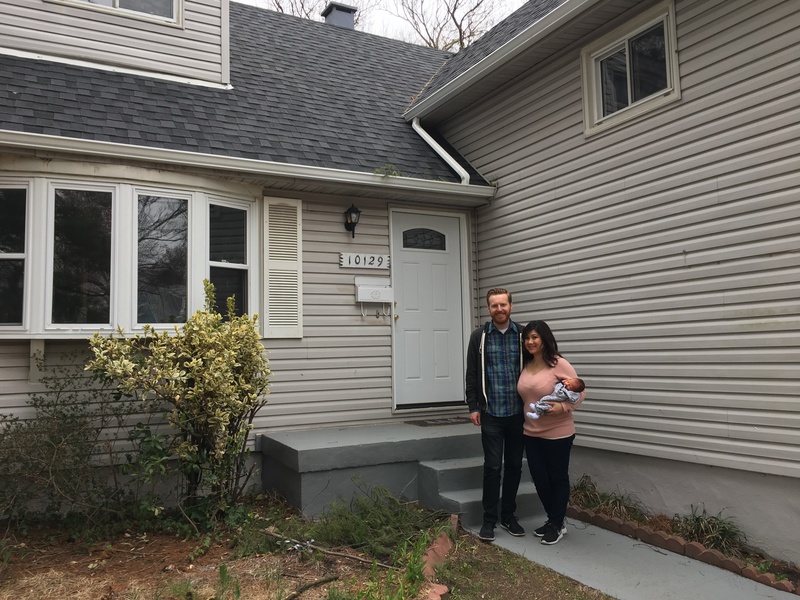 John and Tienna decided to start looking for homes after their recent wedding – and started looking in Silver Spring. As John put it, “We were not necessarily looking in College Park at first, but I had heard about the program a while ago, and thought I’d check in to it.” Tienna, a local hair stylist, also heard about the program through word of mouth – “I had a client who used to work with the City, and when I told her that we were looking for a home, she mentioned I should look into this program.” So, they did. Maria is a senior development coordinator for the University’s Office of University Relations. She had been working with Johns Hopkins in Washington, DC – and “every year, I was moving to another place with the rents going up so quickly.” She landed in College Park about 8 years ago and decided she’d prefer to work closer to where she was living – so she applied to the University. Once she started living in College Park, she knew that this area was a good place for her – but she wasn’t quite ready to buy a home. Maria heard about the program because she was putting together a few packages for new employees in her division and came across information about the Homeownership Program – “it was pretty amazing, no one really knew about the program.” But, that didn’t stop Maria from looking further into the program and was happily surprised that it was pretty easy to use. 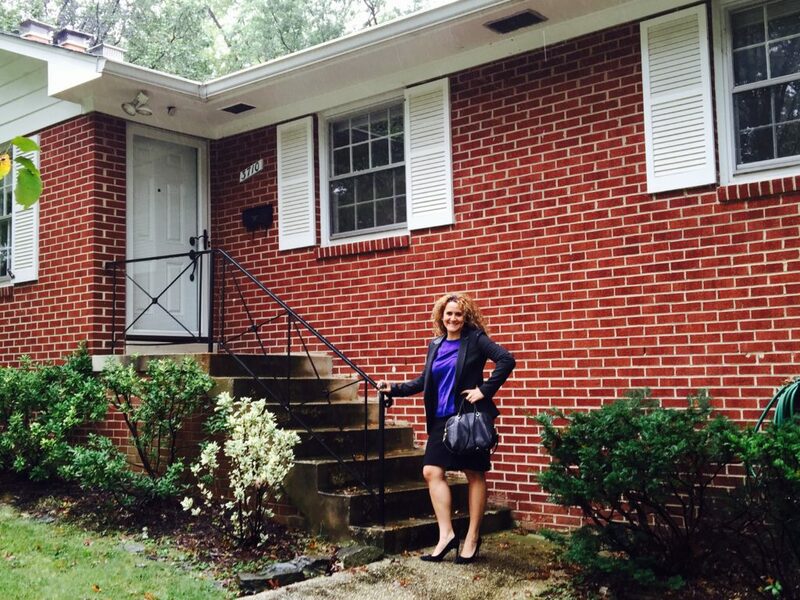 She found a realtor that was knowledgeable about the Program and started looking for homes in College Park. Bruk, the Director of Outreach and Recruitment in the A. James Clark School of Engineering for just over 9 years, heard about the original College Park Work/Live program back in 2009. 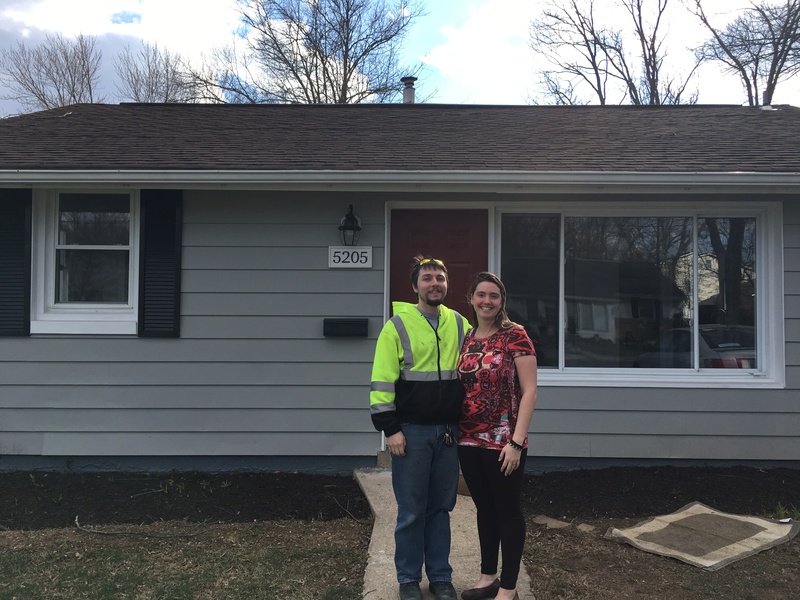 When the Partnership launched the current Homeownership Program in 2015, he was excited to participate in it as soon as he could. He even filled out the application at that point. Although they had long-known about the Program, they didn’t really consider College Park a college town, from what they saw. Amara grew up in Amherst, Massachusetts – so she was “used to living in a college town, with students and campus connections.” But, from what they’ve seen lately, they realized that the University and City are really doing what it takes to unite the campus and community.” So, when they decided to use the program they were excited to “be part of the conversation to make College Park a top university community” – in fact they’ve already participated in a community meeting on the Rhode Island Avenue bike lane and have had positive interactions with staff at Davis Hall. Together, Bruk and Amara are excited to engage more with neighbors, have more family time, take walks together, and participate in this community. Even though they haven’t been out too much in College Park, (“Our favorite place right now is Home Depot”) Amara mentioned she really liked Vigilante Coffee – and looked forward to finding new places within the City. College of Computer, Mathematical, and Natural Sciences. Stacia works as a director of new student programs in the same college. Their son will be starting as a freshman at the University in the fall. Both explained that it’s an exciting time to be in College Park. 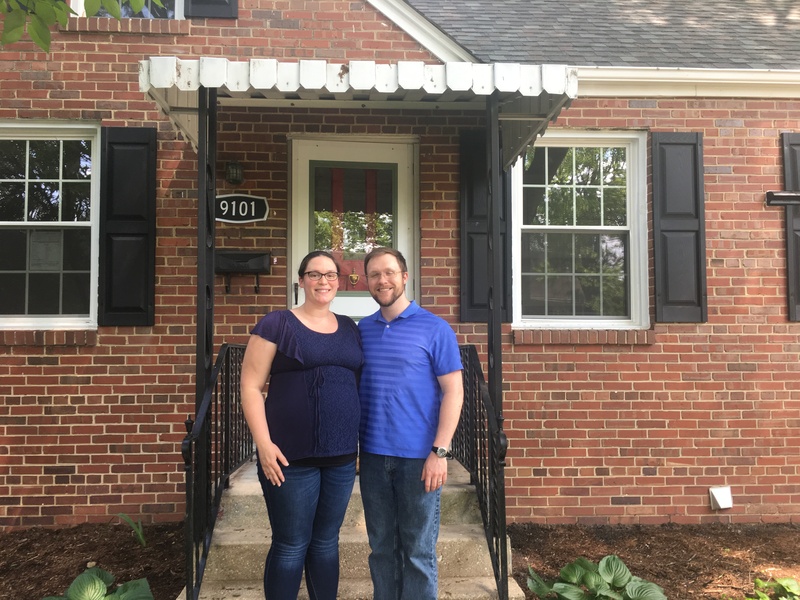 With the recent 2018 UMD graduation, Tom and Stacia mentioned they went to the Hotel at UMD, “and it was great!” They are also excited about frequenting the Board and Brew, Riverdale Park Station, and when the Café/Alehouse opens at the former Auto parts store, they will go there. “In fact, the other day I woke up and went to the Bagel Place, had a bagel and coffee and still got to work by 8:00 a.m.,” said Stacia. 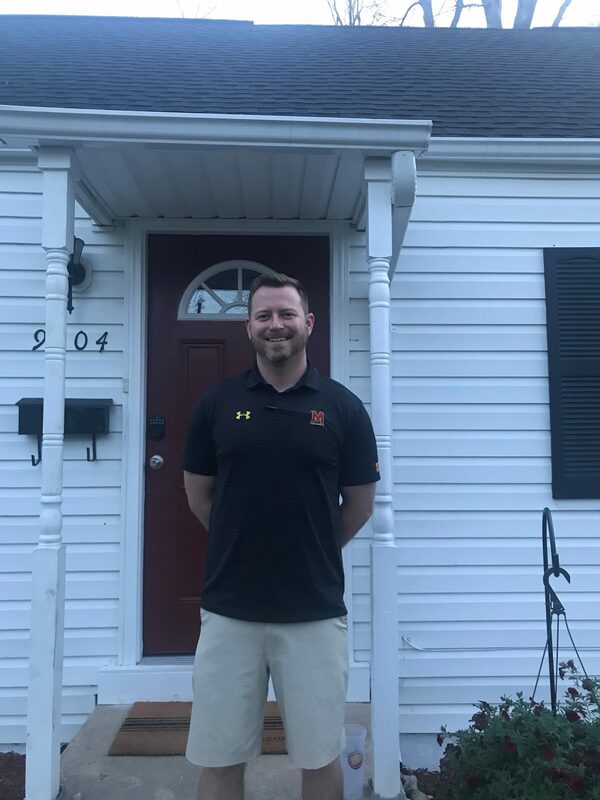 He heard about the program from another home buyer, Kevin Fahey, and when he decided to look to live closer, this Program helped him choose College Park. 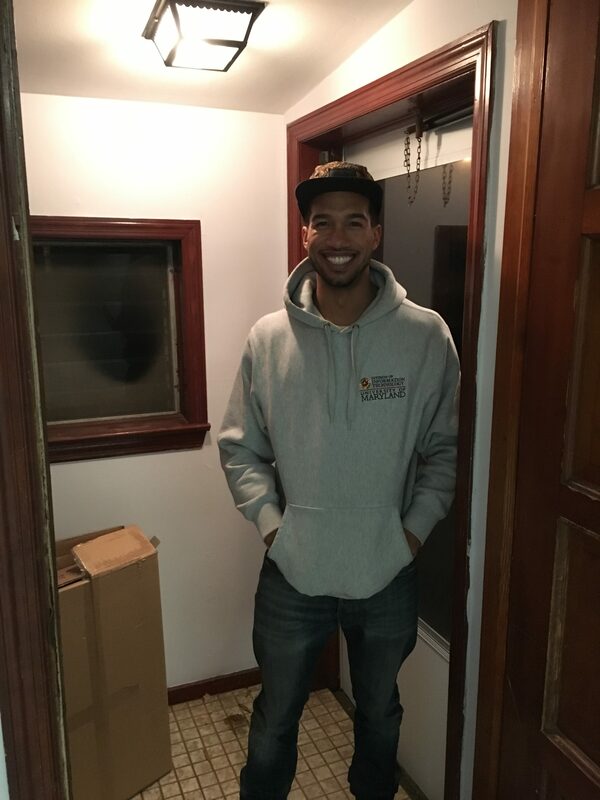 Derrick explained, “I knew I wanted to live closer, but I didn’t know how close – the program helped me choose to search for homes in College Park.” Another boost: The Metro is very close to his new place, so he is able to get to Washington DC easily if he wants to. Carrie is starting as a post-doctoral associate in the Animal and Avian Sciences department of the University’s College of Agriculture & Natural Resources in September 2018. 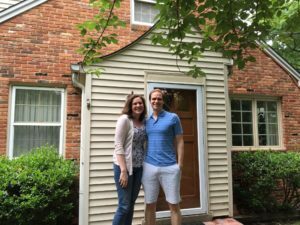 She and Stephen had been living in Arlington, VA but once she knew she had the University job, they decided they wanted to live closer to her job. Stephen works for a company in Richmond, but he telecommutes most of the time. So, for those days that he does have to travel, being close to work was important to Carrie. Carrie and Stephen have a 2-year-old daughter and a son on the way. With an expanding family, Stephen mentioned “we’re glad that we have more space, in a good place and hey, we’re now homeowners for the first time!” The one thing they need to figure out as they transition to College Park is daycare, but they are hopeful that the UMD daycare will open before 2020, or that they can get into the Center for Young Children. They had started looking at places in Virginia – like in Alexandria and Arlington, but as Viley explained, “the options there are much smaller and cost more” … Viley went into labor with Julian the week of their home closing … “so part of the decision to move here was having more space for our family.” “Plus, the program really helped us have more equity in this place faster, with lower monthly payments due to a larger down payment,” explained Brian. They decided they wanted to live in a friendly community that was walkable to a metro, “Greenbelt metro isn’t quite walkable, but it’s a 5-minute drive.” Brian intends to continue to drive since he foresees taking Julian to a to-be-determined day care at some point. “But the drive to work now is only about 10-12 minutes now, which is excellent.” He also mentioned he might try biking but had not yet explored the nearby trails because they hadn’t finished moving in yet. Viley is excited for the parks and green space nearby and Brian, a coffee-enthusiast, mentioned that the College Park Vigilante Coffee Co. location was an excellent thing to have open because “it’s closer for us to get to.” They are both excited to live closer to campus, because now they can participate more in the campus events and events in community with colleagues, go to concerts and visit galleries in the area instead of commuting. 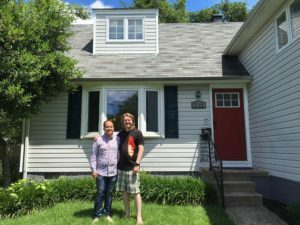 Eric mentioned that he had been watching the real estate market in the area for a while, knowing that he wanted to buy at some point, and when he got a promotion at the University, he decided this was the right time to make the move. When he started looking for homes, Eric went to an open house where he met Jean Pirovic and her team, a local real estate firm. “I mentioned in the conversation that I worked for the University and she in turn asked me whether I had heard about this Homeownership Program.” So, he started researching the program and visited the Partnership’s website. “I essentially built my home buying team around people who knew about the Program to make sure it was as easy as possible” – his lender and title company, Prosperity Home Mortgage and RGS Title, respectively, had both used the program for previous home sales. Adelai, who goes by Addie, just graduated from the University of Maryland last year and was able to get her “dream job” of working at the Center for Young Children (CYC) – a highly sought-after pre-kindergarten on campus. Thomas is an electrician with the International Brotherhood of Electrical Workers (IBEW) Local Union 26, currently working out of Beltsville. Addie and Thomas are excited to be living in College Park. Their cat Henry, a 6-month old stray they found outside of the CYC, is also enjoying the new digs. They are happy to have their own space and are looking forward to when the new MOM’s Organic Market opens. 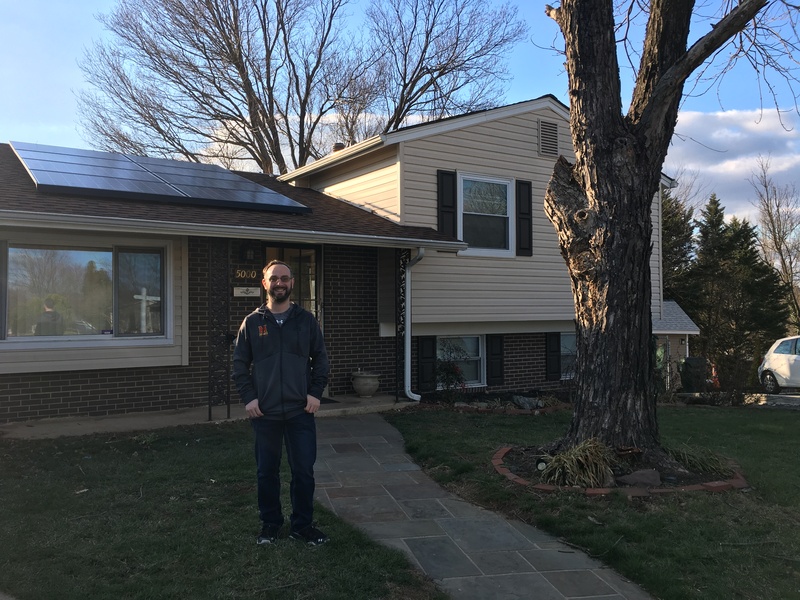 Jason had been living in Silver Spring for 7 years, but last June decided to move close to the University, and found a place to rent in Berwyn Heights, which shortened his commute by 20 minutes or so. “The drive from Silver Spring was about 30 minutes, on a good day. And you always have to qualify that by saying ‘on a good day’ – needless to say, moving closer significantly cut down on my drive time to work.” Now his commute will be about 10-12 minutes on any day. He heard about the Homeownership Program through a talk on economic development in College Park held by Ken Ulman, a Board Member of the Partnership, and President of the Terrapin Development Corporation. He wasn’t yet ready to buy at that time, but when he started his search, he was reminded by colleagues of the Homeownership Program. 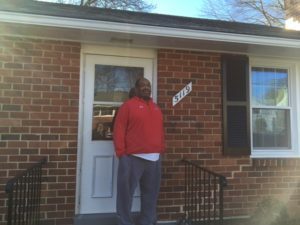 Jason had been thinking about moving to other areas, but the Homeownership Program helped him focus on, and purchase in, College Park. Jennifer Haislip has worked at the Center for Young Children for just over 16 years as a Program Administrative Specialist. She has worked in the University of Maryland’s College of Education for nearly 20 years. Jennifer found out about the Homeownership Program because she helps staff at the Center for Young Children with issues related to human resources, and someone had a question about benefits. When she went to the website for University Human Resources benefits, she saw the Homeownership Program listed, and did some research on it. Chauncey Moore has worked in the Division of Information Technology as a network engineer for six months. He is an alumnus of the University of Maryland, graduating in 2008. After graduation, he started as an IT Coordinator/Engineer at the University, but then left after a couple of years to go into the private sector. Chauncey is from the DC region, growing up in Takoma DC and his father also works at the University of Maryland. He wanted to stay in the area, and has many friends who live in the Hollywood neighborhood of College Park, “so it just made sense to try to live here, especially if you are a University of Maryland employee planning to stay at the University for a while.” Upon his return to the University in April 2017, he decided College Park was where he wanted to live. Lauren Grant has worked at the University for six years, the last three in the Department of Criminology and Criminal Justice. Her husband, Alex Campbell, has undergraduate and graduate degrees from the University of Maryland in Government and Politics and Public Policy, receiving his Masters degree in 2010. Lauren had heard about the Partnership’s Homeownership Program a couple years ago and kept the email on file for when they decided to buy a home. 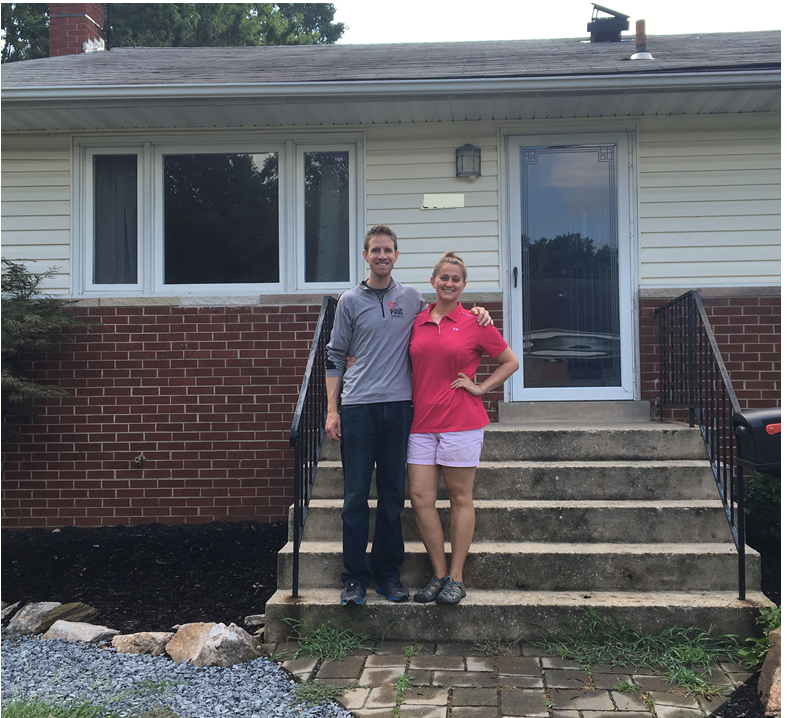 Both Lauren and Alex grew up in the area – Silver Spring, Bowie and Burtonsville. They have seen College Park and the University attract investment and they like the new restaurants and the way the area – both on and off campus – is developing. They like how Baltimore Avenue is becoming more walkable and are excited the Purple Line light rail line will be coming. Alex has always been a Maryland sports fan and they love attending basketball and football games. Alex noted how this fall, he walked to campus for football games, calling it “a nice walk to campus” from their north College Park home. Roger Paz has worked for the University of Maryland for 10 years as a mechanic in the Department of Transportation Services. He and his wife Iris, who works at a hair salon, moved from Mount Rainier, Maryland. Roger had heard about the program through a colleague at work. His supervisor helped him translate the parameters of the program, and go through the application process. “It was a very easy experience for me, even without much English – the program is very straightforward, which is very helpful,” explained Roger. 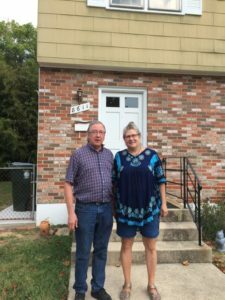 They made the decision to purchase in College Park because of the program – they were looking for more space than their current apartment provided, and the program made it possible for them to purchase now. 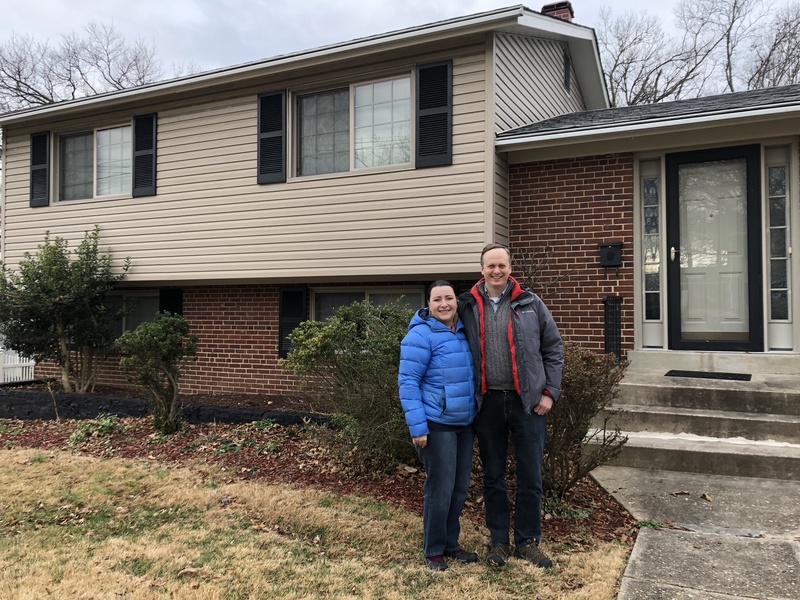 When they were looking for homes in College Park, they found this house, “and it’s in a nice quiet and calm neighborhood – our neighbors are nice.” They like Buffalo Wild Wings. And, Jason, especially, is happy to have more space and a yard – “I like to play soccer, so this is an improvement,” said Jason. 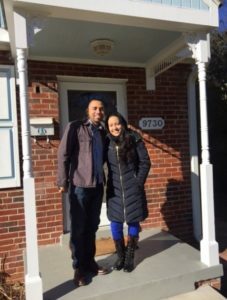 They had initially considered Hyattsville, but when they learned of the Partnership’s Homeownership Program, they decided to focus on College Park – and fell in love with the Berwyn neighborhood, “it has large trees and older homes” and luckily, during their search, they found a lovely old home with lots of character. Now, he’ll be able to bike to work or even walk. “My office is only about a mile down the road from here, so I’m thinking I won’t renew my UMD parking pass. It’ll be pretty rare that I’ll ever have to drive.” And he said he can get a pack of day passes if he needs to drive. Josh came to the University of Maryland to get a Master’s Degree in Library Science in 2006. Originally from South Dakota, he has been working in the UMD Library’s Department of Digital Systems and Stewardship since 2014. Josh is an avid bicyclist and will now be able to bike to work more often. “This house is great because the Trolley Trail is so close – and I can use it to get to the University quickly and take Finn and Benjamin out for a ride – College Park has a lot of great trails.” He is thinking that he needs part-time parking at the University because he’ll have to drive on certain days to take Finn and Benjamin to school. He also has major plans to update and renovate the house. “The program really helped because I am now able to make the house more livable.” He already added a new roof to the house and his next plans include fixing up the attic so that it has 2 bedrooms for Finn and Benjamin, opening up the kitchen, maybe adding central air, and finishing the basement. The basement was half finished and probably used as a rental space, and Josh wants to make it a family room. 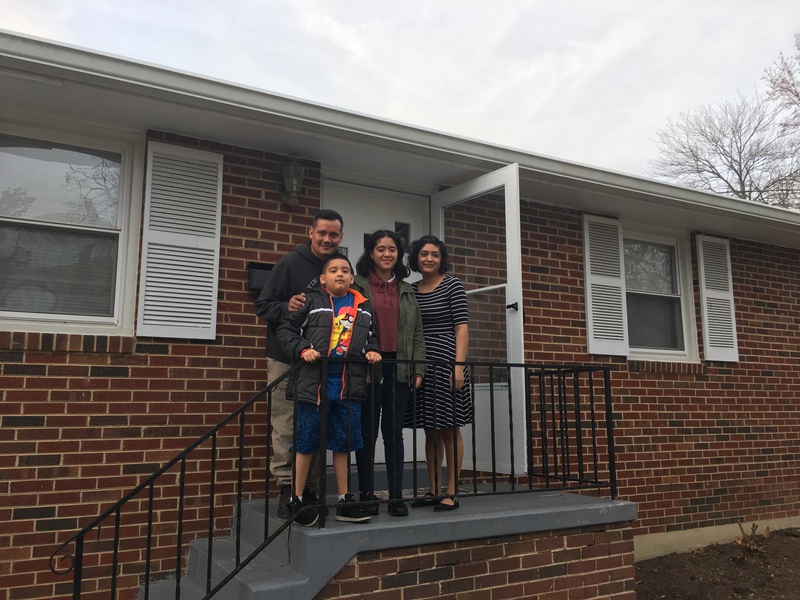 While they looked at houses in College Park, Hyattsville, Greenbelt, Berwyn Heights, Beltsville, Takoma Park, and Silver Spring, when they found the Homeownership Program, they decided College Park was the option for them. “It was a ‘no-brainer’ for us,” said Eric. Eric has been working in the IT Services Department since 2001 and has seen the positive changes in the area. 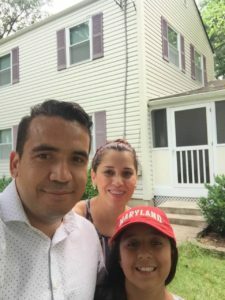 Eric and Shelby both grew up in the vicinity – Eric in Howard County and Shelby in Arlington County. Eric’s family are proud Terps – he is a 2nd generation Terrapin and “Audra [only 7 months old] is the 3rd!” – his mother was one of the first women to graduate in Mathematics at the University. Eric grew up going to UMD football and basketball games and proudly supporting the Terps every season. Shelby, who grew up near the W&OD Trail in Virginia is also a classical singer, and she too loves the University. Audra, their 7-month old, has already been to football and basketball games – and she is on the waitlist for the Campus’ Center for Young Children already. She has wanted to live in College Park for a long time because it is “a nice place to live long term for families.” But she wasn’t sure if she would find a home in the City or if it would be affordable. She noted “house prices in College Park went up 14% last year!” She was looking at homes in College Park and Riverdale Park. 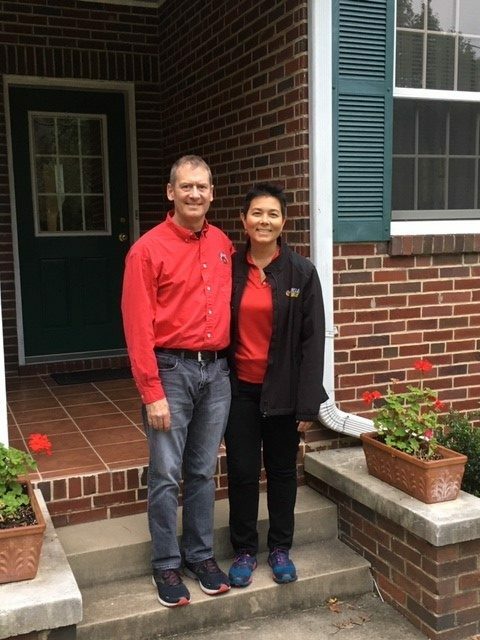 Don and Yuri were among some of the first people to contact the Partnership about the Homeownership Program when it launched in 2015. They have lived in College Park, renting in the Old Town neighborhood, for almost 20 years. Don and Yuri explained that “it’s quiet, it’s safe, there are neighbors outside, lots of people go for walks here, and it’s close enough to the University.” Don estimated it was a 10 minute bus ride, a 10 minute bicycle ride and 25 minutes walking. He mentioned he would commute to work by walking, biking or taking the bus on different days. What he won’t be doing is driving. “Parking is expensive – and really everything goes up [in terms of expense] when you drive,” said Don. Don is a technical coordinator in the Institute for Research in Electronics and Applied Research at the University’s College of Computer, Mathematical, and Natural Sciences. He is an alumnus of the University, and has been working there for 15 years. He is originally from Pittsburgh and says the Daniel’s Park area has a feel “like home.” He says it reminds him of the working class neighborhood he grew up in, where “people are outside, not inside with the air conditioning, and where people know how to do things.” It is a friendly neighborhood, where they have been welcomed by neighbors – including the neighborhood kids. Yuri has already started a garden in the backyard and she enjoys the on-campus yoga classes at the Recreation Center. They both remarked how everything they need is convenient to them in College Park. 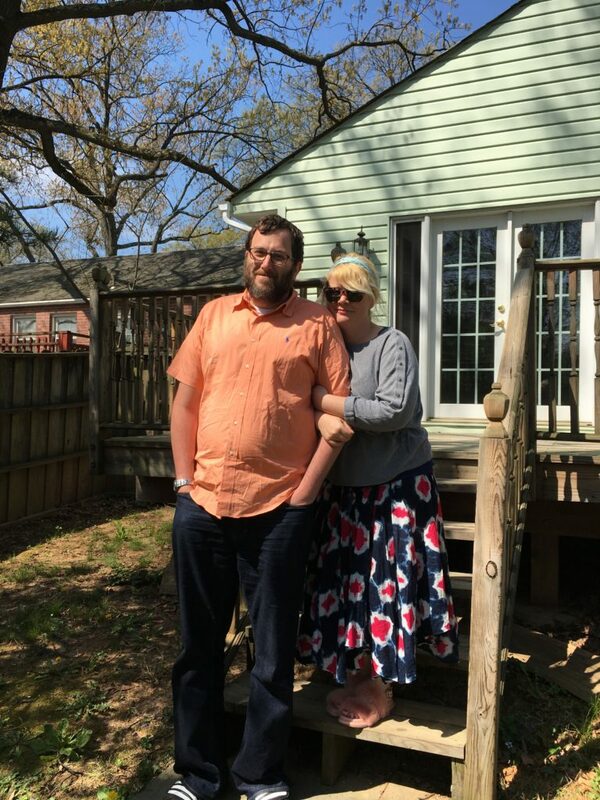 Yoel and Katherine moved from Silver Spring, Maryland because they wanted to live in a place where they could have more space but also feel like they were in a city. Katherine is an 11-year employee of the University of Maryland, working as an associate director in the National Consortium for the Study of Terrorism and Responses to Terrorism (START). As Yoel and Katherine started thinking about moving out of their condo in Silver Spring to have more space and a yard, Katherine mentioned that in the last few years, she has “seen the College Park area developing,” and considered that if they “didn’t make the move now, [they would] be priced out of the area.” In addition to Katherine being at the University five or six days a week for work, they know the area well due to several good friends who live nearby in Berwyn Heights and University Park. Heather and Roswell are runners, so the Daniels Park neighborhood really appealed to them. It’s close to the Trolley Trail and they can run to Lake Artemesia or go running at Greenbelt Park. In fact, when asked how Heather would be commuting to work, she mentioned they are a one-car family and that she takes the UM Shuttle that stops a block from their home. She added she might also “run commute … I’m considering shuttling to work and running home.” Roswell mentioned that he was happy to become a resident of the City because he can also get a UM Shuttle pass – “which is a great way to get around the City.” Plus, with the Greenbelt Metro station being walkable from their home, they are going to be able to discover even more in the area. Lori began working in the University of Maryland’s School of Business four years ago. Her husband, Dennis, works at George Mason University in Virginia. They moved from Manassas Park, VA, a short distance from George Mason University. They considered moving. “We started looking in the neighborhoods to rent first and get used to the area.” Lori said that several people – including her brother – thought that crime was an issue and discouraged them from living in College Park. So even though they wanted to move closer, they hadn’t specifically decided to make College Park their home. Researching options for buying instead of renting, their realtor “really spearheaded this” and told them about the City’s New Neighbor Grant Program. With this information, they decided to target only the homes in the City that were eligible for this – namely homes that had been former rental properties. 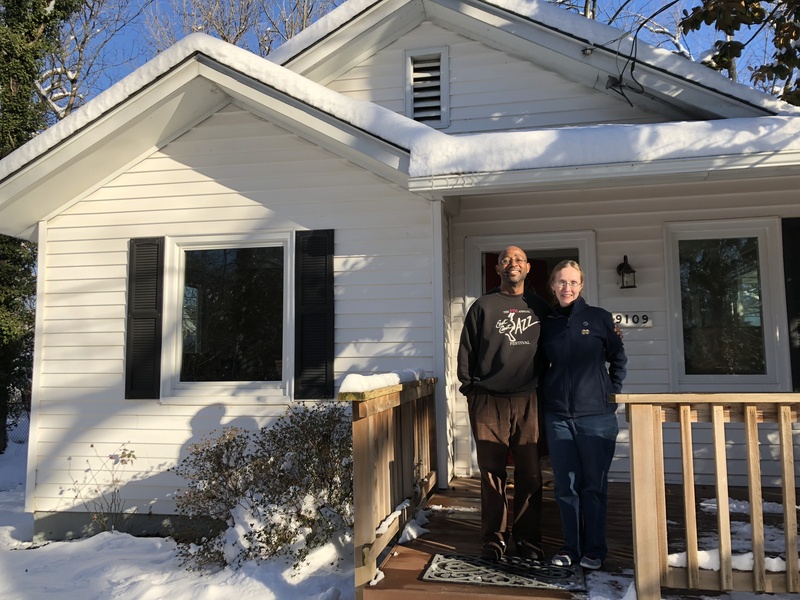 When they found the home they “fell in love with,” they approached the City and Partnership with plans to couple the City’s New Neighbor program and the Partnership’s Homeownership program. Kecia Hansard is the Director of Diversity Initiatives in the Robert H. Smith School of Business Office of Diversity Initiatives. As a veteran employee of fifteen-plus years, and a UMD graduate originally from Boston, she has lived in many places in the metro area, including Washington DC and Takoma Park. She first started looking in Berwyn, but was open to other neighborhoods as well. One day, when scouting homes with her realtor in College Park Estates, she met a neighbor. “He was so nice and talked about how accessible and safe the area is. 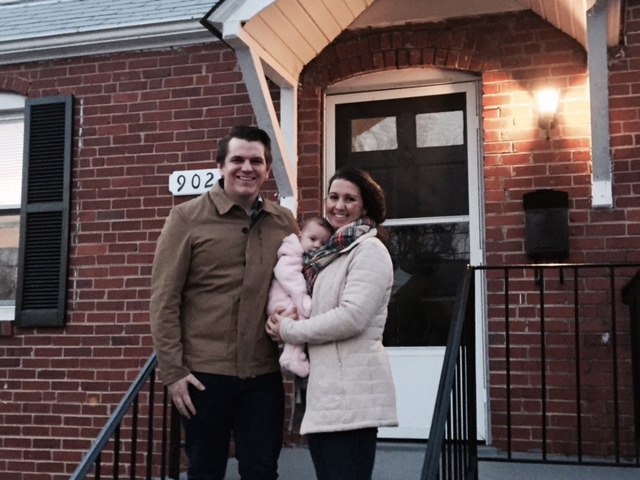 Our conversation was a real selling point for living here.” She is happy with her choice with regard to her commute. It had been 30 minutes to work and 22 minutes home and her commute now is only a fraction of that time. She said that if the UM Shuttle were accessible to the Estates, she would use it, but if not, then she would explore biking to work. Laura Hood is in her fourth year working at the University of Maryland. For two years, she commuted from Fairfax, where her husband, Aaron, worked at George Mason University. For the last two years, they reversed their arrangement, living in College Park in a sorority house where she served as a house director, in addition to her job as Coordinator for Student Entertainment events at the Stamp Student Union. 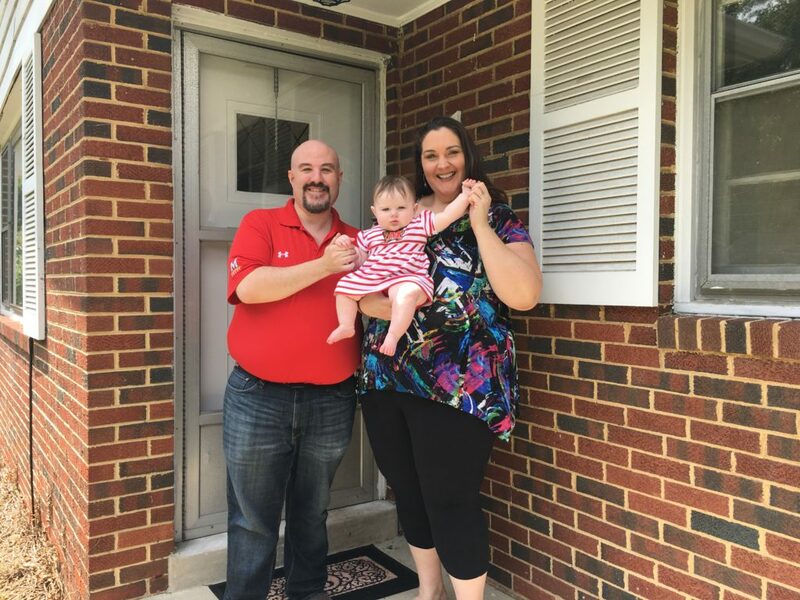 They enjoy the conveniences of College Park – they mentioned how they frequent TargetExpress, Marathon Deli, Starbucks, and “lots of little restaurants in downtown College Park.” Laura noted “Aaron loves Nando’s” – which opened in October 2015. They are excited about Whole Foods opening, and even as they are disappointed REI is closing due to a new flagship store in Washington, DC, they find Ikea a great, convenient store in the College Park community, and gestured at the Ikea furniture in their living room. Both are runners, and they love to run on the College Park Trolley Trail and around Lake Artemesia. “In addition to the restaurants, and convenience, it is one of the great things about College Park” Aaron said. 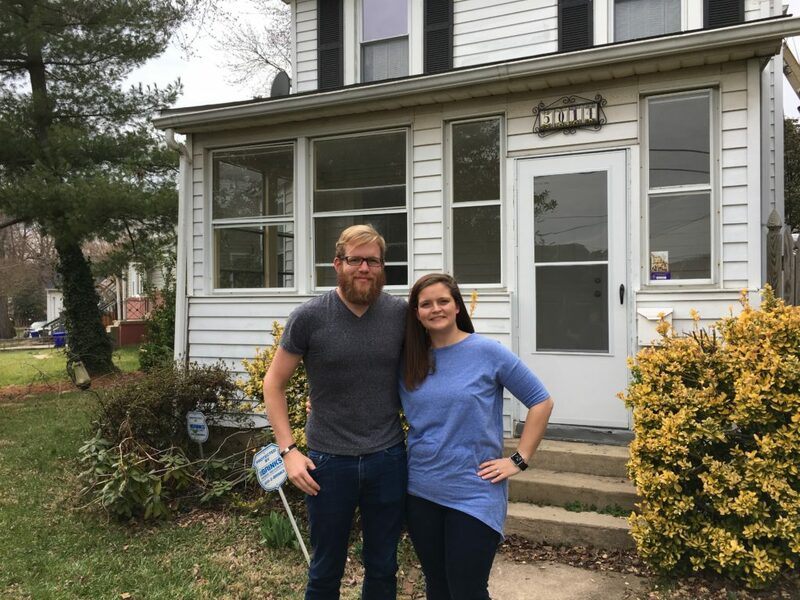 Laura and Aaron were looking for a quiet, convenient, and safe neighborhood, close to a bus line and public transportation, so that Aaron, who was looking for a new job, could get to downtown DC if he needed to. 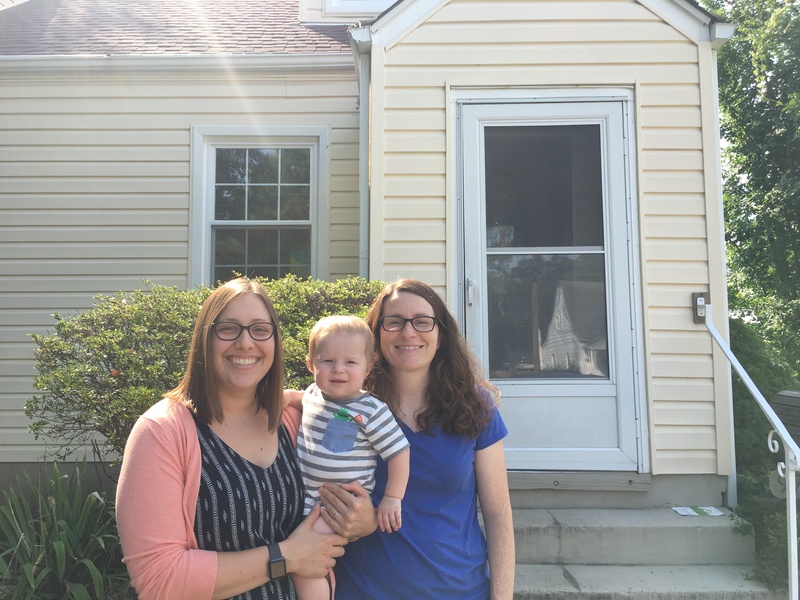 Laura notes the Partnership’s Homeownership Program – coupled with the City’s New Neighbor grant – was a big part of house hunting in College Park, and that it made a real difference. “Because the program applied in College Park, we only looked in College Park,” she said. Ruth Yun has worked in the University of Maryland’s Human Resources Department for the last several years. She is a 2013 graduate of the University and has lived in College Park since 2011. Most recently, she and her husband, Jose Montoya, rented in the Camden apartments and townhouses near Ikea in College Park. She mentioned “I know there’s Fat Pete’s Barbeque coming to College Park that we’re excited about,” and she’s a big fan of the Hollywood Farmers Market.Ruth has been particularly fond of several vendors there – “I call her the ‘Bread Lady,’” Ruth said, “her bread is so good – especially the Cheddar Jalapeno bread, I call her ahead to reserve a loaf.” She also sung the praises of the taco stand at the Hollywood Farmers Market, and says she shops at MOMs Organic Market. With two dogs, she likes her home’s big backyard and has been impressed with the College Park All Dogs Club in the Berwyn neighborhood – a dog day care, spa and a “party zone” for pets. 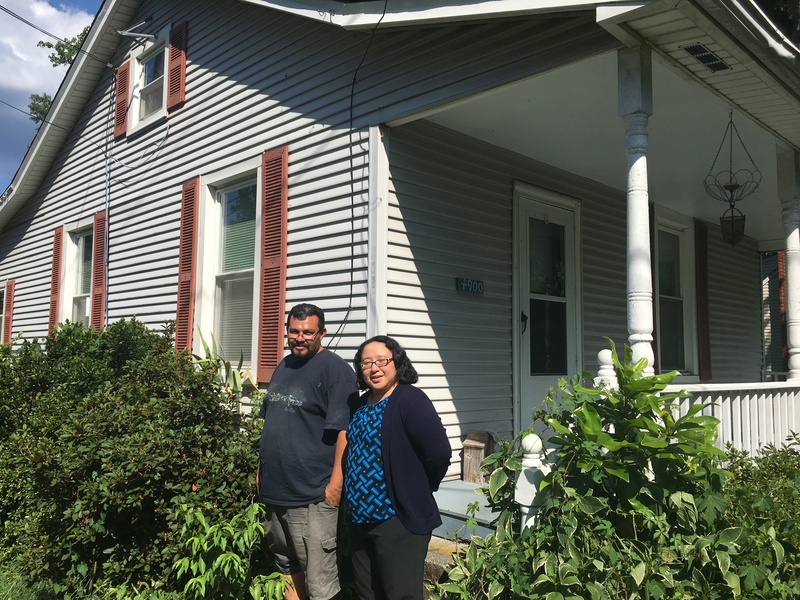 Ruth and Jose were the first homebuyers to use both the Partnership’s Homeownership Program and the City’s New Neighbor grant together. 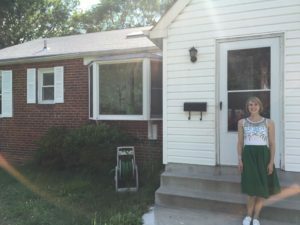 In addition to the Homeownership Program’s $15,000, she was eligible for the City’s $5,000 New Neighbor grant since the house was a former rental property. “That extra $5,000 really helped,” said Ruth. In fact, Ruth says utilizing these programs was the easiest part of her home buying experience. Marina Augoustidis is the assistant director of the Center for International Business Education and Research (CIBER) Programs in the Robert H. Smith School of Business Office of Global Initiatives at the University of Maryland. She started with the University just about 16-months ago, but was living and working in the DC-Metro area for roughly 10-years prior to that. She heard about the Partnership’s Homeownership Program from a colleague in the Smith School when she first started. 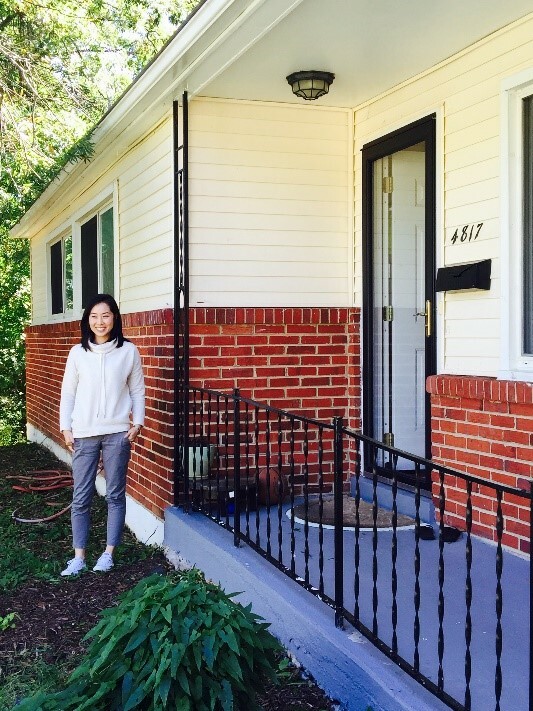 Tammy Clegg recently purchased a house in the quiet College Park Estates neighborhood through the City-University Partnership’s Homeownership Program. She is an assistant professor of 6 years in the Department of Teaching and Learning, Policy and Leadership at the University of Maryland’s College of Education. She also has a joint appointment in the College of Information Studies (the iSchool). She came to Maryland from Georgia Tech, where she obtained a PhD in the School of Interactive Computing. Tammy’s work at the University includes partnering with local schools and community members to advance informal STEM learning through projects and research. One of the schools her work is featured in is at Charles Carroll Elementary School, which is in New Carrollton, MD. She is also very active in a church nearby, so one of the main features of selecting the neighborhood was its proximity to both her on- and off-campus work. The Estates are also in close proximity to many of College Park’s trails – especially the Indian Creek Trail that joins the Anacostia Tributary Trail around Lake Artemesia, the Northeast Branch Trail and Paint Branch Trail that connect directly to Campus and the City, and this was a big draw for her as a runner. Lisa Alexander began her career as resident life director at the University of Maryland just over a decade ago. She is the Director of Oakland Hall and has been happy with her professional growth at the University over the course of 11 years. Steve Kreider is a program coordinator for student engagement at Anne Arundel Community College. Lisa and Steve both moved to Maryland from outside the area, both of them arriving just after graduate school in Florida and Memphis, respectively. Since they have been here for some time, they are familiar with the City and University plans to make College Park a top university community, and they like what they see. “We’re happy to see all this momentum in the City. There is a lot of positive energy here – I mean just look around. Ten years ago, for example, I would not have moved off campus,” Lisa remarked. They are very happy about the new Zagster bikeshare, mBike. Lisa likes to commute by bicycle to work and elsewhere. “We are looking forward to the Whole Foods coming in, and the trails that we can use to get there!” For his part, Steve is not an avid trail-user, but he is happy there are numerous ways to get around College Park, especially to his ultimate frisbee games. 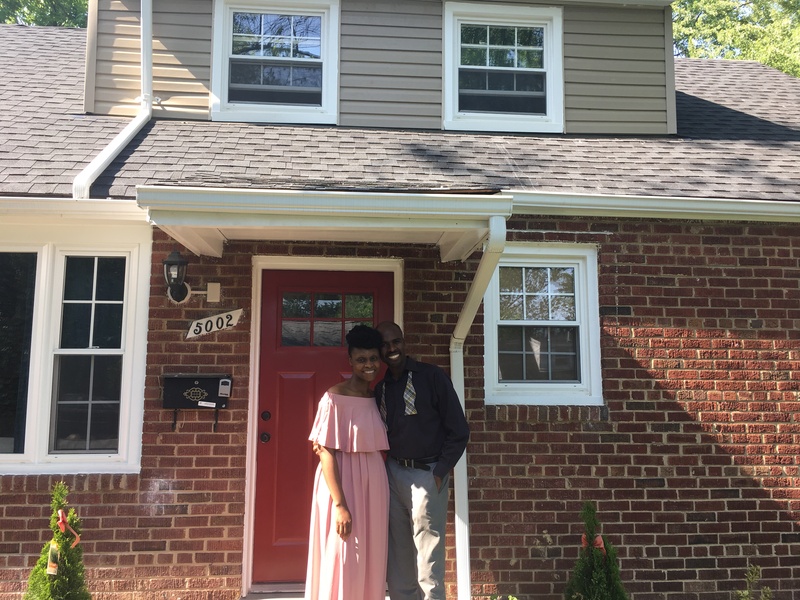 Valerie Hoy has lived in College Park for a decade, renting in houses throughout the community, and is now thrilled to be a brand new homeowner in the city. 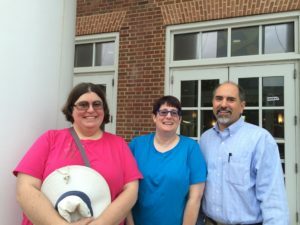 For the last four years, she has worked in the College of Agriculture and Natural Resources at the University of Maryland, in the Information and Education Technology Unit. 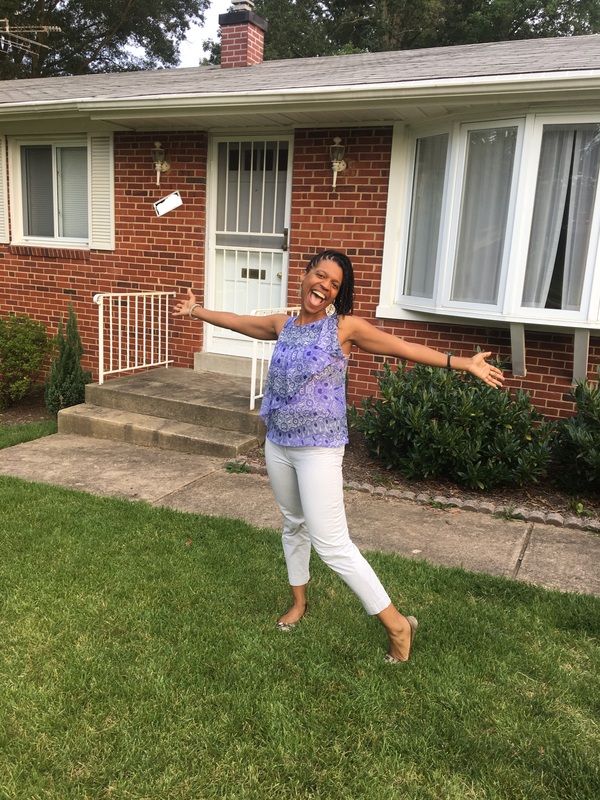 When she learned of the Partnership’s Homeownership program upon its announcement last year, she realized this was her opportunity to jump from being a College Park renter to a homeowner. “The loan really helped me buy t his house,” she noted. She called Partnership staff right away, and looked for a house for a year. After a few houses she was looking at were purchased by other buyers, she was able to get a contract on her new house in the Hollywood neighborhood. Valerie says that in buying a house, her “main priority was biking to work.” Her bike ride from door-to-door from North College Park is 17 minutes. She is exploring what she will do in rainy weather, and notes that the Greenbelt Metro station is not too far from her house, which will take her one stop to the College Park station where a UM shuttle bus runs regularly to campus. After 10 years living in College Park, she says “I love College Park – it is close to everything and DC. It is a nice, residential neighborhood.” As a cyclist, she said she “loves the bike trails” and she has followed the community and city government through her local officials, the neighborhood listserve, and community blogs. She finds it to be an active community, and a great fit for someone working at the University. James and Jennifer both joined the University of Maryland’s Department of Psychology a little over two years ago as assistant professors. As recent graduates from Michigan State University, one thing they were looking for when they moved to the University of Maryland was to live close by. “We always loved the fact that a lot of faculty lived close to the University when we were at Michigan” said James. They rented a house in University Park when they arrived so they could be close to work, “anything more than a 15-minute commute is a no-go for us” said Jennifer. They immediately “fell in love” with the area. As they continued to explore, taking day trips to Annapolis, Baltimore and Washington D.C. – “all easy to access from here” – they were certain that this was the best place for them. Jennifer mentioned that before they moved they researched the University and came across a report on housing strategies that mentioned a previous Partnership Work/Live Program. Then, in August 2015, she heard UMD President Dr. Wallace Loh on The Kojo Nnamdi Show where he mentioned the Partnership’s homeownership program in the context of College Park being a vibrant place for faculty and staff to live and also discussed revitalization in the area. Hearing Dr. Loh speak about the homeownership program confirmed for them that the program was real, and they contacted Partnership staff about using the program shortly thereafter. Dr. Osvaldo Gutierrez is a new hire for the University of Maryland starting at the end of June 2016. He was hired as an assistant professor in the College of Computer, Mathematical, and Natural Sciences Department of Chemistry and Biochemistry. Maria will be going back to school as a graduate student at the University of Maryland. Osvaldo comes to Maryland from the University of Pennsylvania, where he was a Post-Doctoral Fellow. His family, Maria and his daughter, are in California near UC Davis. They have lived in many other university communities across the country – Westwood in Los Angeles (UCLA), Davis, California (UC Davis), and West Philadelphia (University of Pennsylvania) – so a major factor in deciding to accept the University of Maryland’s offer was the location. He also says that they “like to be involved in the University, but also in the community,” and living in College Park will allow them more opportunities to do both. Situated a block off Route 1, near the new Monument Village development, his new house and neighborhood are exactly what he was looking for. There are quiet woods in the back, it’s not far from the golf course, and there is a lot of economic development happening nearby. He cited the Whole Foods coming to Riverdale Park and other retail enlivening the Baltimore Avenue corridor. The prior owners had lived in the home for 31 years, and he was touched by their story. 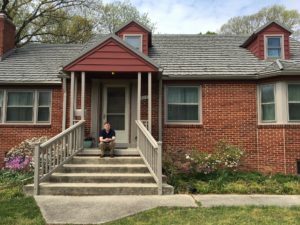 He is looking to carry forward the longtime homeownership tradition for this house. The friendliness of the area especially impressed him: upon the sale of the house, 3 different neighbors came over to greet him. Preston Robinson has been a University employee for 13 years, he is Director of Ticket Operations for on campus athletic events. 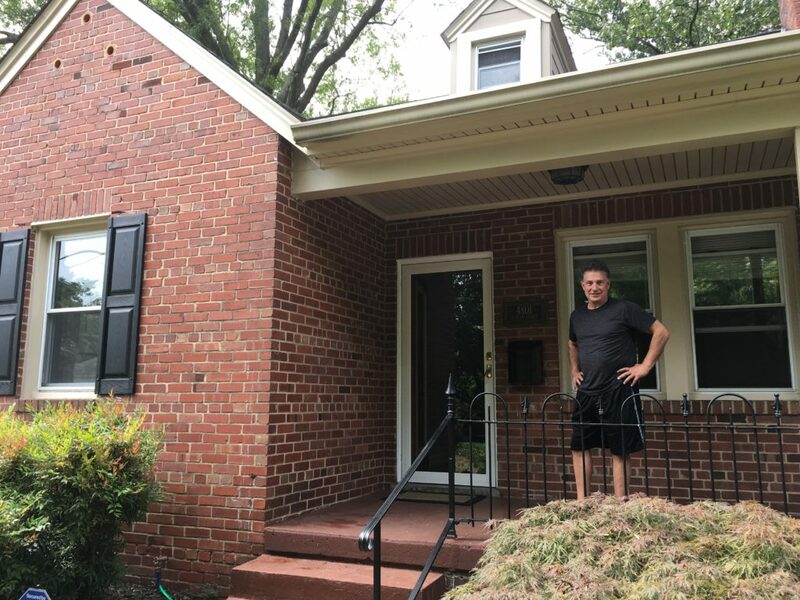 Over the 13 years, he has moved closer to campus, renting in Largo, Bowie, and Adelphi, and finally, the past three years, in College Park in the newly built Domain apartments adjacent to campus. Over the years, a colleague suggested he purchase a home, and this year, she directed Preston to the Partnership’s $15,000 Homeownership Program. Preston figured this would be a good time to buy his first home. In a new role as a homeowner, now Preston is encouraging colleagues to consider living in College Park: “I was just telling a colleague on campus that they should use it” he told us. He says “I was shocked at how quick and easy the process was” to obtain the $15,000 forgivable homeownership loan. Often some people are concerned by the weight of a loan but it is possible to change the terms of the loan even after it has been agreed upon to make it more affordable. If you wanted to learn more about loan modifications, then you may benefit from researching this further. 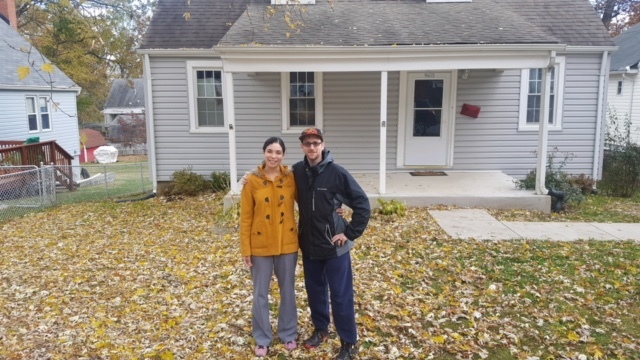 Katherina “Kat” Bedon and Fernando Merchan “had been thinking about buying a house for awhile” when a colleague of Fernando’s mentioned the City-University Partnership’s Home Ownership program. “Before we were looking all over Maryland for a house,” said Fernando, a Business Manager in the University’s Smith School of Business. But they focused on College Park when they learned of the $15,000 program. Both noted their excitement about the coming ArtHouse – a café and performance space that will highlight the arts and bring together campus and the wider community. They indicated it would be a great place for young professionals, and look forward to a place where they can enjoy an “enriching experience” at night in downtown College Park. Their home in the Hollywood neighborhood of College Park is just what they were looking for. They love that it is a “quiet and diverse neighborhood, the neighbors are friendly, and it has a lot of families.” Kat and Fernando also love the convenience of the area. They say, “we don’t have to go far – Costco in Beltsville and MOM’s Organic Market are nearby, there are shops, the Beltway is close, and we can easily get into DC.” They had not realized when they were looking at the neighborhood that the Metro is so close, they can walk to the Greenbelt station in minutes. “Nothing is out of the way” they say, including their commutes – Fernando is only 5-10 minutes to campus and Kat says she can get to her job at Prince George’s Hospital Center in 10 minutes. 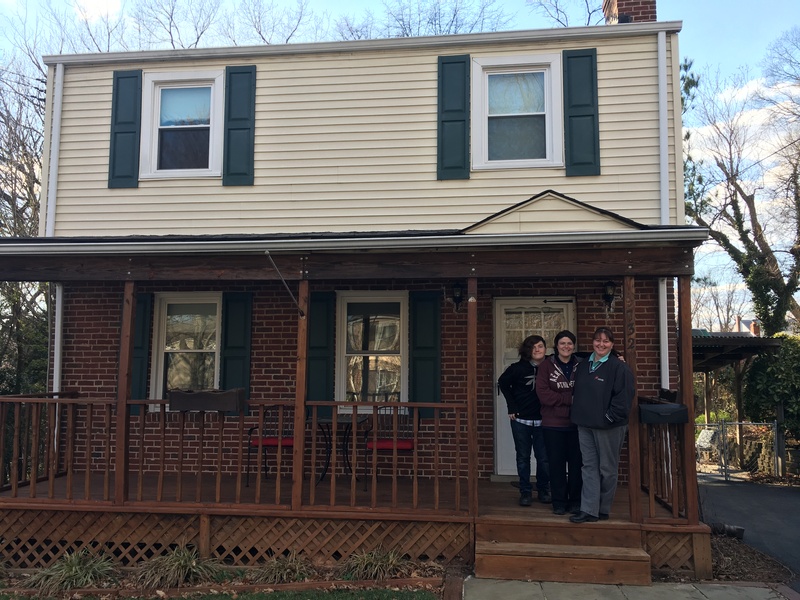 Beth St. Jean and Melissa Niswonger had been renting in Burtonsville, Maryland for three years, starting when Beth began teaching at the University of Maryland. Beth is an assistant professor in the University’s College of Information Studies, and at the outset of their real estate search, heard advice not to look at College Park. She was warned about crime and traffic, so they looked elsewhere. Although they learned of a house in College Park with the amenities they were looking for, they did not consider it. 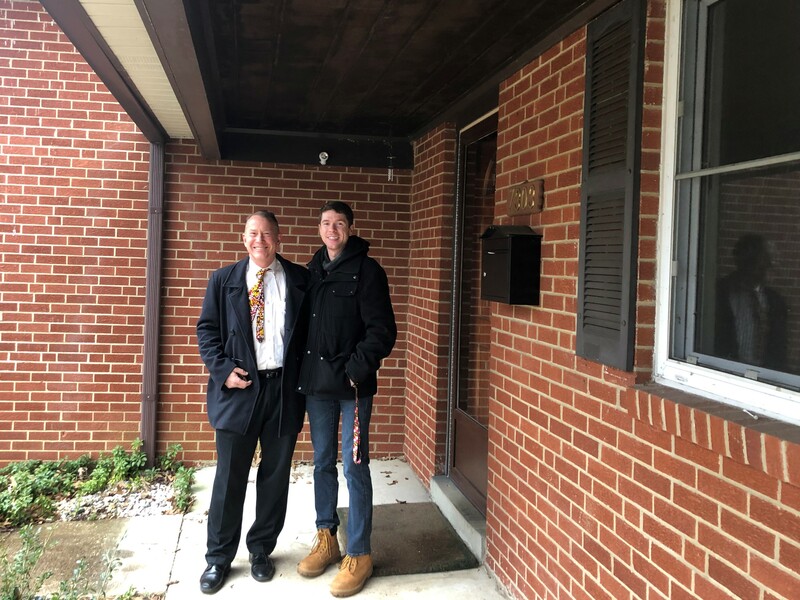 At the time a house they were looking at in Columbia, Maryland fell through, Beth heard about the College Park City-University Partnership Home Ownership Program from a talk President Wallace Loh gave to the University Senate as well as from a colleague. Beth decided she’d run over from campus to check out the College Park house “just to rule it out.” As Beth recalled, “I called Melissa and told her it took me 2 minutes to drive to the house!” – and loved it. 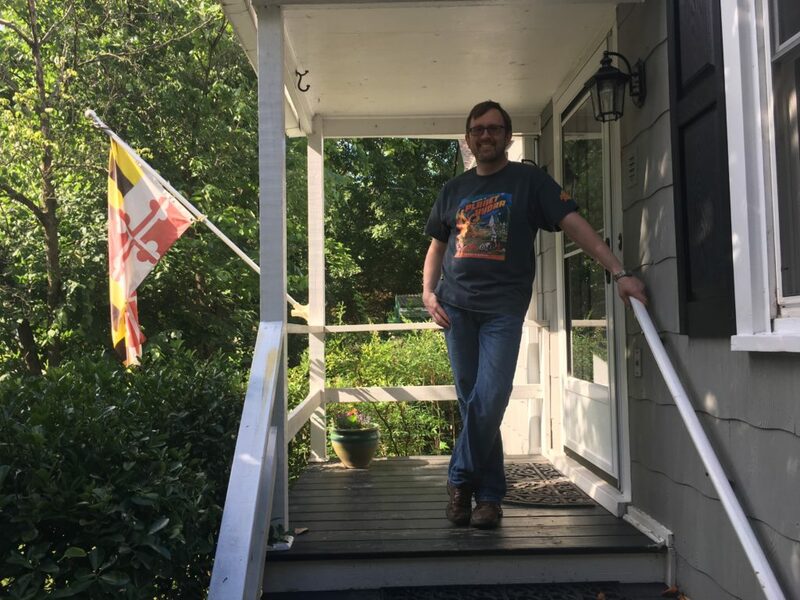 In College Park’s Yarrow neighborhood, the house had space for a dog to run, an office for Melissa to work from home, and a first floor bedroom for Beth’s mother. The house and neighborhood were the perfect fit, but still wary, Beth decided to research what she had heard about crime in College Park. She looked for data online (she mentioned “SpotCrime.com”) and found that the neighborhood is safe, with very little crime, compared to their previous home, in which they were forced to install a home camera system to improve their security. Beth and Melissa both said they mapped the local bike trail system and are excited they can bike to campus without ever having to get on a road, other than their local street. They feel they are closer to restaurants they like and they are especially eager to frequent the numerous local farmer’s markets in the community. Another amenity they both look forward to taking advantage of is the University pool in the Eppley Campus Recreation Center. Beth said she has long had a membership to the campus pool, but never had time to use it. In fact, time is extremely important to Beth and she explained, “as a tenure-track professor, time is the most valued thing.” Living about a mile from campus allows her to save about “an hour and a half each day from being stuck in traffic.” Both are excited to live in College Park and Beth summed it up for them both by saying “we are in a nice neighborhood near campus.” Melissa noted, “My father was a long-time professor at Smith College (in Northampton, Massachusetts), I grew up knowing what it was like to have faculty living in and around a campus community,” and she looks forward to living in a more walkable, bikeable, sustainable environment. 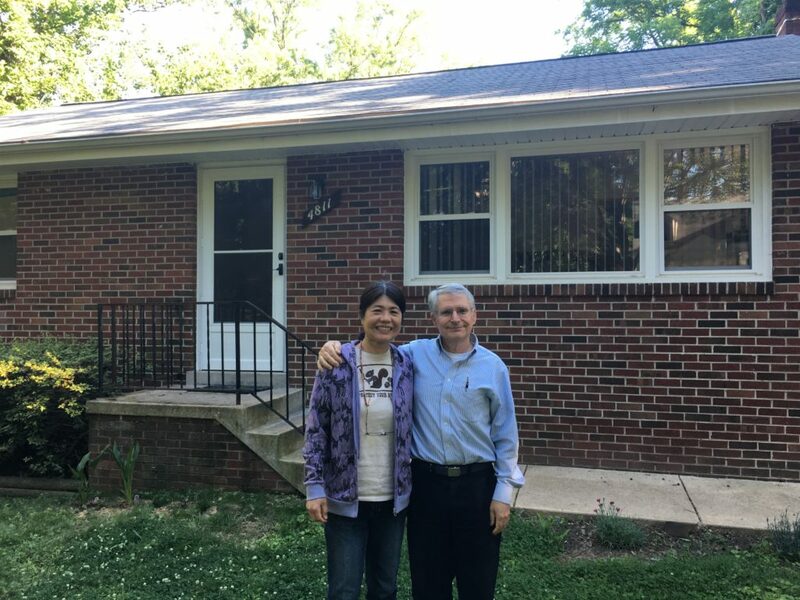 Having worked at the University of Maryland for six years in the Physics Department of the College of Computer, Math and Natural Sciences, and having previously lived in surrounding communities, Don and Melissa were eager to have the opportunity to live in College Park. 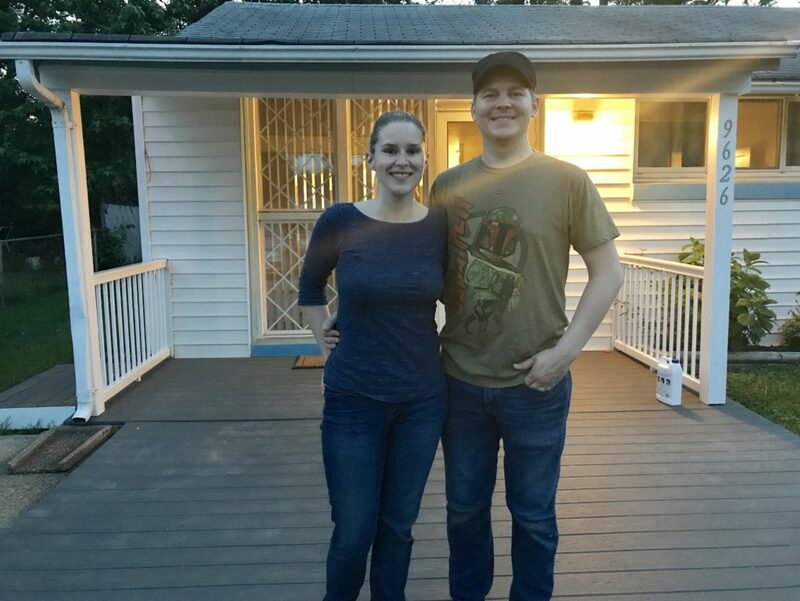 They heard about the Home Ownership Program through the City-University Partnership’s weekly e-newsletter, “College Park News and Happenings,” and thought it would be fantastic to take advantage of the opportunity. Don says he wanted to live closer to the University, in order to walk to work. He is a walker – “that’s what I do” – and enjoys his 1-mile walk to work while noting there are also two UM Shuttles they can take that stop near their home. Their house, in the Crystal Springs neighborhood, was a former rental property. One of the big draws to the community was the positive flow to the neighborhood – homes with kids and families, as well as students. Melissa, a master gardener, is looking forward to tending a garden in her own yard, noting the position of the sun’s rays that will energize next spring’s plantings. Mark and Celeste both joined the University’s A. James Clark School of Engineering one year ago – Mark as faculty and Celeste as a lecturer. 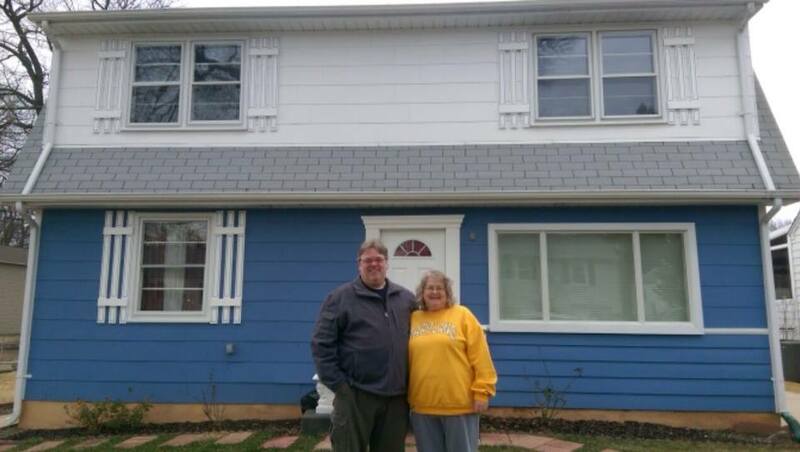 They rented for a year in Berwyn Heights, and as they started looking for houses to buy, they learned of the newly launched City-University Partnership’s Home Ownership Program. They had been a car-free family the year before, living near UC-Berkeley, and became a one-car family when they moved to Maryland. They were interested in commuting by bike or on foot and leaving the car at home. 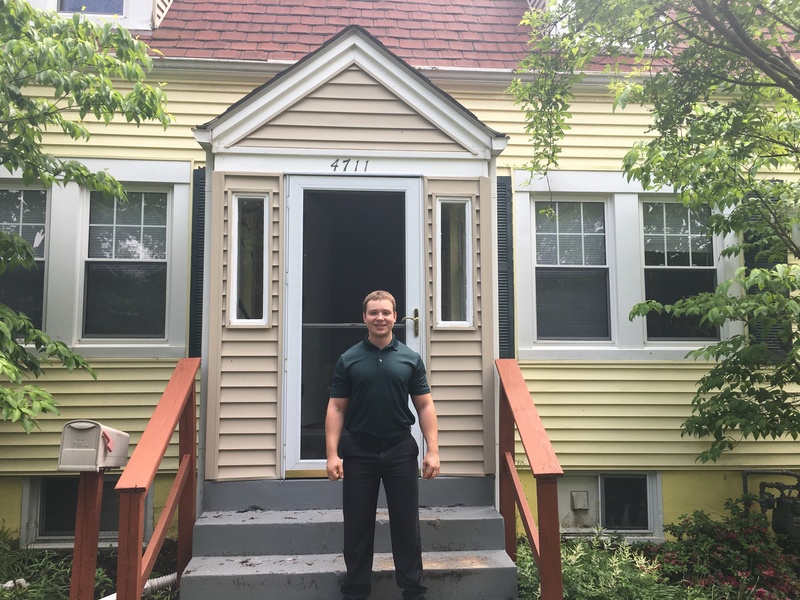 Using the Home Ownership Program to help purchase their home in College Park’s Berwyn neighborhood has helped them achieve that dream. Their house sits just off the College Park Trolley Trail in the Berwyn neighborhood, and they love its proximity. It provides an enjoyable place for them to walk their dog, and the trail is also their daily route to campus. With a 7-minute commute by bike to his campus office, or a 20-minute walk, Mark likes the convenience of coming home for lunch, letting the dog out, and being back on campus easily. Additionally, they love Lake Artemesia, the 38-acre lake and natural area in College Park that is accessible by our local trails. “Lake Artemesia is a selling point” for College Park, they both agreed. 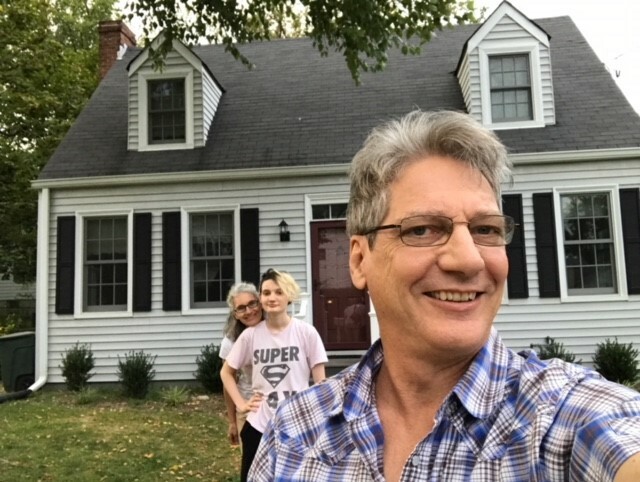 While renting in neighboring Berwyn Heights, they found College Park to be a “nice area.” Celeste grew up in Bowie, and her family is still there. As a local, she was familiar with College Park but noted with optimism how things seem to be changing in the area with more redevelopment. Together, they both say they look forward to walking to new and future businesses along Baltimore Avenue and in the Berwyn commercial district, discovering our local trails, cycling the rural roads through the Beltsville Agricultural Research Center, and becoming involved in the community.